Yes, I am angry! Our collective stubborn denial of damage inflicted upon our integrity and dignity as a nation has accelerated our repeated experience of trauma and grief. Instead of coming together in love and compassion, we are the united states of pain. We celebrate national days to focus our attention on a topic. 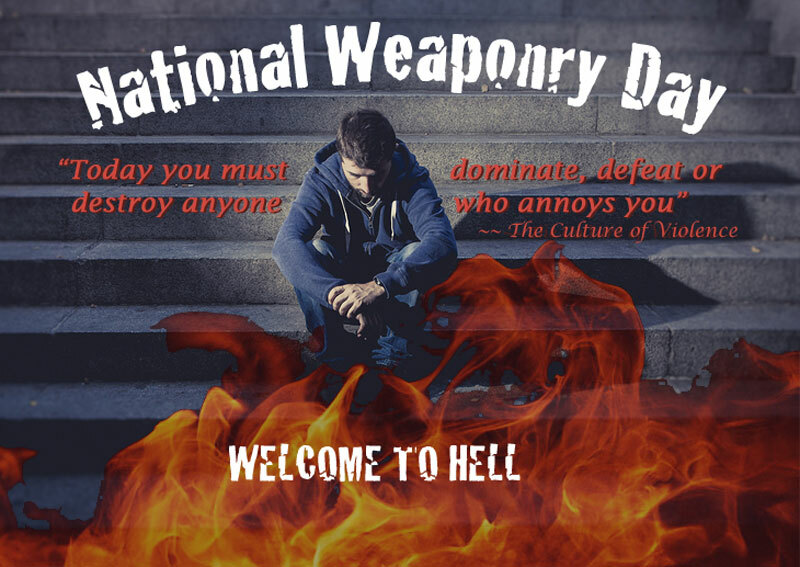 Today and every day in America is National Weaponry Day, unofficially and widely celebrated in every movie theater, video game, gun store, toy store, television broadcast, military hardware show, sale and parade. However, those are only superficial examples of the display and use of weapons. At a deeper level, we have been conditioned for generation upon generation to celebrate the use of weaponized thoughts and language to destroy, defeat and dominate whoever happens to be our personal enemy of the moment. The outpouring of thoughts and prayers for victims insulates us from the reality of the situation, which is much more personal than most of us are willing to accept. We are all victims of our way of seeing the world. The perception of the world as a hostile and dangerous place will not end until we each, individually, take responsibility for learning and teaching the anger management, conflict resolution and empathy skills that we should expect from adults. If gun owners, gun manufacturers and gun-rights protectors wish to insist that access to guns is not the problem and they wish to keep their guns, then they especially need to accept the task of healing this culture of violence. If military strategists, weapons manufacturers, exporters, lobbyists and legislators wish to insist that the pathway to peace is paved by war, then they are automatically accountable for the rage and plots for revenge that arise from every bomb that is dropped, every bullet and missile that is fired, every child that is denied family and friends. I feel rage. I feel grief. I feel hopeless, yet part of me keeps coming back to what I know for sure. Love always wins, no matter how long it takes, no matter if one believes it or trusts in it, lessons are repeated until learned. “Planet Earth is the place where the souls of the slow learners are sent!” (Cosmic Lady). I confess, I am impatient. It has long been my contention that the struggle to change the world and the struggle to change ourselves are one and the same, are interdependent, and occur simultaneously. Indeed, love, nonviolence and peace are all outward manifestations of authentic connection, forgiveness and relaxation of the command-and-control structure of the ego. This relaxation facilitates the letting go of all the unfinished grief, all the trauma that has not been avenged. This action allows a natural flow of creative, empathic responses that are not ambitiously aimed at specific outcomes. Paradoxically, it is that kind of playful personal behavior that is the only, necessary and sufficient embodiment of planetary peace. 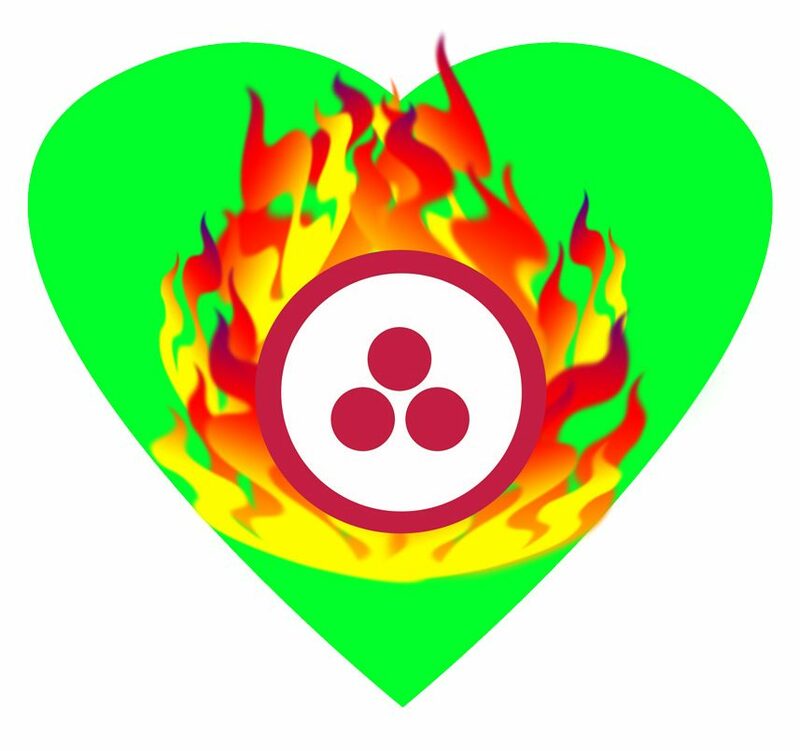 All other logical-analytical efforts to plan a path to world peace are ultimately doomed to failure if they do not contain this equanimity, this emptying of ourselves into extravagant generosity of spirit. World peace then is no longer a far-off goal, it is our commitment in this moment to be part of the solution instead of part of the problem, our commitment to allow — to the best of OUR ability in this moment — love to flow through us.